Made with Recycled, Galvanized Steel Hex-Plates, elegance is achieved with the use of Champagne and Bronze paint. Triple Glazed. 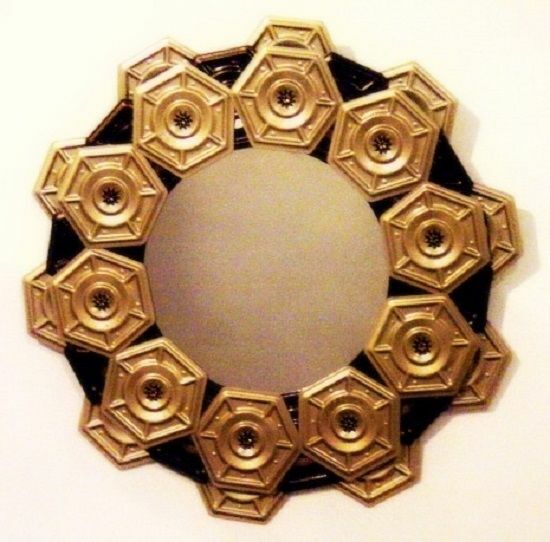 Bronze painted lock-washers and gold inset give a feminine touch to the over-all look of the mirror.